As we had signalled in our previous update, we have moved to a 50% restriction regime effective from 23rd December – we anticipate this regime may need to remain in place right through January. 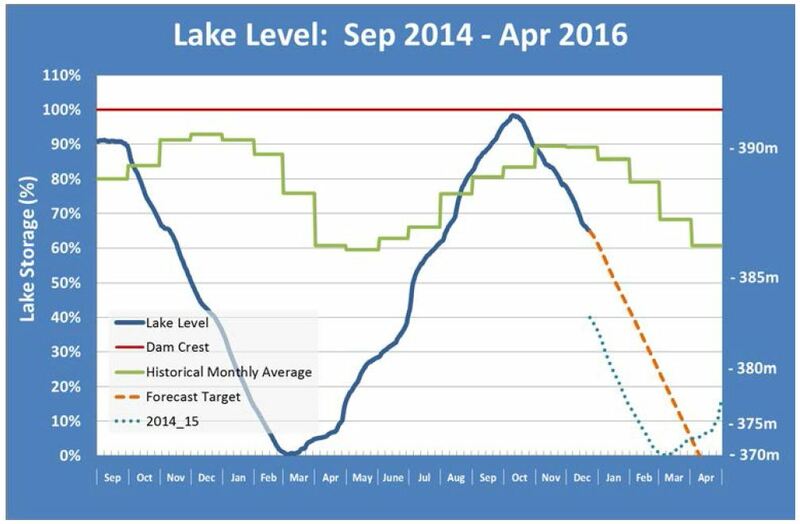 Despite the rain on the 16th and 17th which saw 20mm-30mm across the catchment, the drawdown on the lake is still significantly higher than last season as we would be quickly using up the buffer in lake storage we have been able to establish through the earlier restrictions and reduced river flows we have implemented this season. The 50% restriction regime will be on a volumetric basis which seems to be providing better flexibility to many of our irrigators.